How To Create a Mobile Travel App? I remember the times when arranging an own trip was a true challenge only for brave ones. For the rest, there were travel agencies, though. With technology escalation, the world became more tiny and reachable. Together with that, the fact of the journey itself is no longer such a big deal. Any place you want to visit, any hotel to stay, any food to taste are just in the distance of a few taps on your smartphone. Now there is a particular application for all types of trips and tourists needs. According to Nielsen, the unique audience for travel applications has increased up to 11% for only one year (from 123,655 million in 2014 to 137,225 million in 2015). Wherein the in-app time spent reached the 2:03 mark, which is 40% higher than the year before. Travel apps make the experience easier and in most cases guide to discover even more than a squeeze out of the Lonely Planet. The mobile travel app development can broaden the horizons of your existing business or open entirely new prospects. To choose the best business strategy, we need to clarify what is the purpose of using them and what are the most common use cases. Any travel planner app may include almost all options that are described below. With this type of app the user can search for destinations and itineraries, set up schedules and store e-tickets and QR codes. The good example is a Tripit app. Of course, the user can use some different apps for every purpose (Passbook for tickets, Foursquare for advice, etc. ), but it is way more convenient to have one travel organizer app for all those objectives. Being in the exciting trip users also want to capture their adventures by having notes. Of course, we are in the 21st century and talking about the notes I mean text, photo/video content, and even audio records. In this case, they would highly appreciate the diary app. Your travel journal app even can become a basis for travelers’ blog community. Being at the unfamiliar area is more comfortable when you know where you are now and how to get to the principal place. 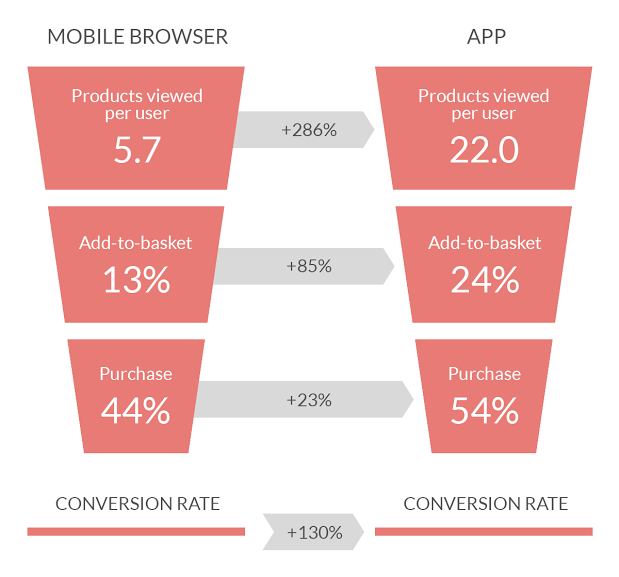 Statistically, 52% of all mobile app users adopt one or another navigation app. Among the tourists this benchmark jumps to 85%. The important aspect of the travel map app is the ability to work offline. Native app development (the custom application for every operating system) ensures your map or itinerary app with correct performance even without wi-fi. But let`s be honest, every app for tourism needs a geolocation feature. Of course, it always affects the cost to develop a travel app upward, but your users need this feature even in MVP and beta-version. There are some useful tools that your travel app development company most likely going to use. For instance, Google Maps SDK for iOS and Android provide the applications with the map itself, Google Places and Facebook Places APIs give access to a massive database of services and sightseeing, etc. Among the apps for international travel are very popular booking services for tickets and accommodation. The user can find the best deals and set up notifications for price changes. It is also nice to have an inbuilt option for transport or hotels check-ins and a loyalty program in one single app. Read also: How much does it cost to develop an app like Airbnb? The inseparable part of every travel experience is finding non-touristic spots and places to visit. Here will be useful a feature of reviews. The key players in this market are Yelp and Trip Advisor. The last one also provides developers with its API, by the way. Read also: How to develop an app like Yelp? Getting around the city is also a challenge that you can help your customers to overcome with your application. What about the collaboration of all city traffic types with a taxi tracking app? Read also: How much does it cost to build a taxi app like Uber? To overcome the language barrier, the translation apps are essential. But as usual, it is always better to give more than your customers are expected. What about to add an augmented reality feature that would translate all streets signs? Weather conditions always affect the plans both while traveling or being at home; that’s why the great weather app for travels is a good solution. Your development team can use one of free open source API`s to integrate this feature in the mobile app. An essential characteristic that even can save a life of your clients. In fact, the health issue can even become a separate travel insurance app that can provide a 24/7 service. Before you hire travel app developers, there are some key points to consider. We at The App Solutions are often facing some doubts of our clients. The most important are Why to develop a trip mobile app if the customers can simply get all the information from the mobile version of the website. Your passion for creating the best app for the travel industry, first of all, should consider the needs of your personas. Who are these people? What is their income? Do they prefer standard tourist spots or like to explore unknown places? Here you need to find out how your idea will meet your customers. The better you know, understand and fill your audience, the more valuable proposition you can make for them. As you can see, the market is quite busy. But the good news is that key players provide their resources and databases thereby freeing you from a huge pool of work. For instance, Trip Advisor API gives access to a massive database of UGC (user generated content) including photos and reviews. Finding trip app developers for hire is a crucial stage of travel app creating process. Your team supposed not only to be professional but also to share your beliefs and passions. Your delivery team should help you to define the concept depending on market trends, determine the project milestones and contribute finding the most performing solutions. To provide transactions between all links and parties, it is used the Global Distribution System (GDS) network. Your customers can get access to your service while being on the go, in any time and place. This factor increases your brand recognition. The application is very helpful in generating new leads through app stores and bloggers reviews. You are up to date with technologies and your customer's lifestyle and habits.